Laptop printer is a tool that displays data in the form of mold as text and pictures/ graphics on paper from laptop data. Printers are usually divided into several parts, the picker as tools take the paper from the tray. Tray is a place to put the paper. Ink or toner printer is a real tool, because there is something called ink or toners that are used to write on paper. In general, printer is used only for computer PC, but now has a lot of printer for laptop that can print data from your laptop. This type of printer is very diverse depending on your needs to print the data. Epson and Cannon are brands that are very well known to printers because the print result is very nice and clear. Portable laptop printer really helps you who are very busy and always go out of the house. 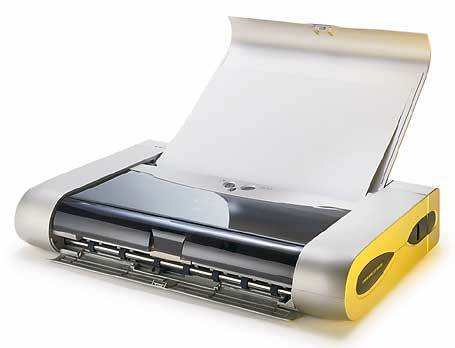 This type of printer can carry anywhere because it is very practical. Form of this printer is not too big and easy to carry anywhere. For a workaholic who often goes out of town, this type of printer is very important because it will make you easily to print data without having to find a power source to turn on the printer.